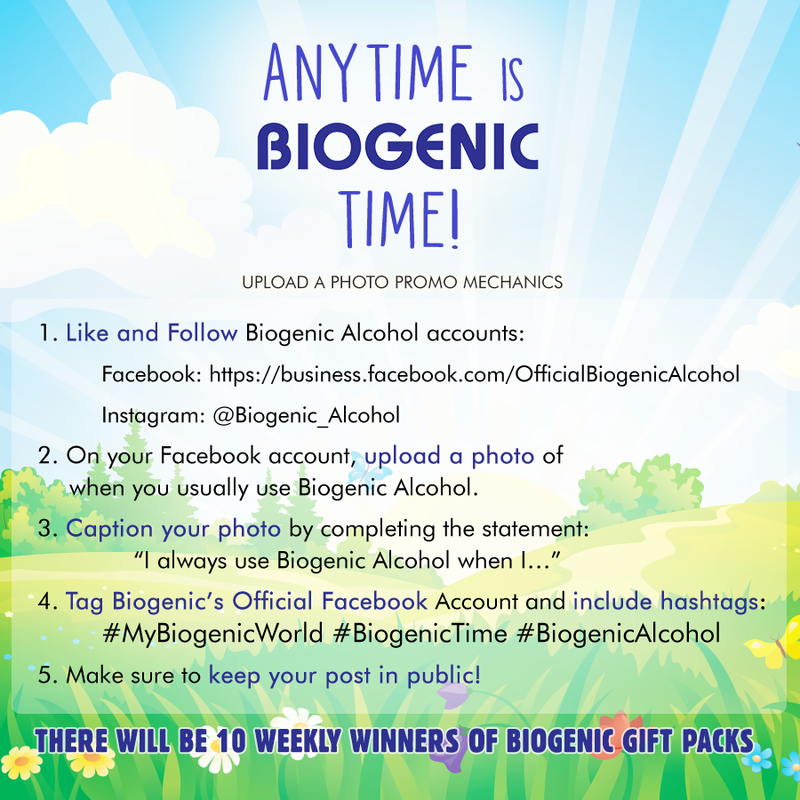 I first came across Biogenic Alcohol when I first started working 9 years ago. My officemate had one and it was the first time I ever saw an alcohol in a spray bottle, I got envious so I also bought one for myself! It was what I used to clean my workspace and I bring it with me to the comfort room, it's what I used to wipe the toilet seat when I need to do no.2 (Sorry, TMI! But this is how much I love Biogenic Alcohol!)! Would you believe if I still have the spray bottle until now? Yes I do! I still use it and regularly refill it. Oh gosh, the Biogenic Alcohol spray bottle is older than my kids! Fresh stash of Biogenic Alcohols! 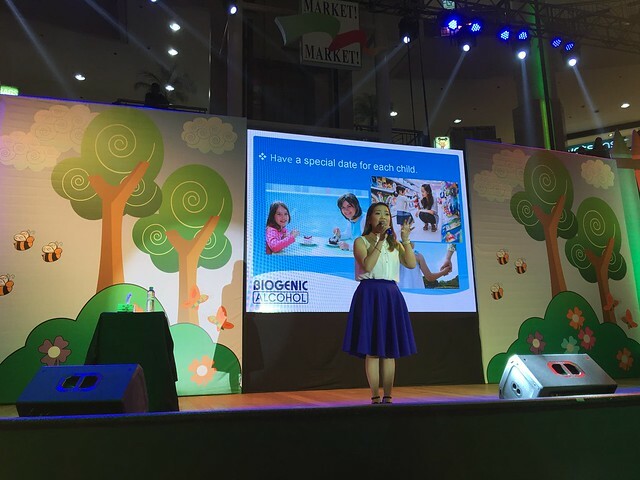 Two Sundays ago, AMW's Nikki Tiu, one of Biogenic's Brand Ambassador, invited me to the My Biogenic World Playtime Discoveries at Market! Market! 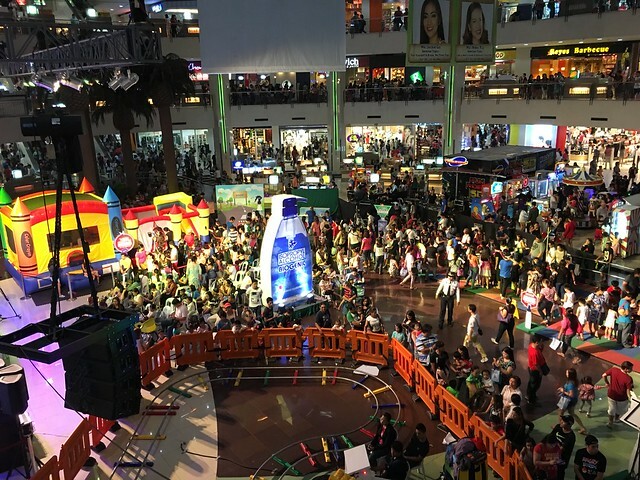 Activity Area. 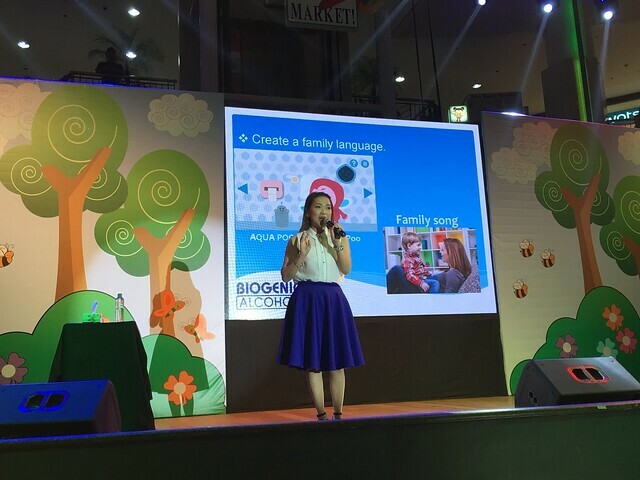 Nikki gave a short talk about how bond with your kids. Nikki's a busy mom, she blogs, do workshops, cooks, attend events, and always looking so fresh! I don't know how she does it! I'm a busy mom and I am guilty that even though I'm a stay-at-home mom, I never got to really spend quality time with my kids. My days are mostly filled with never-ending household chores and a mompreneur's long to-do list and duties. 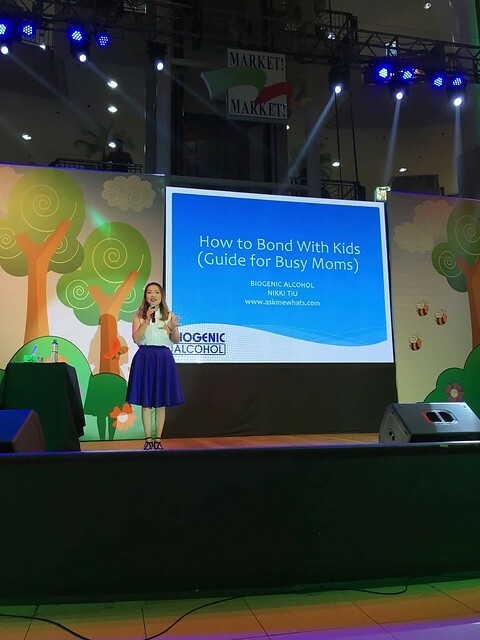 I am glad I was able to go to Nikki's talk, I picked up a few tips that I can do with my kids. Here's some of the tips Nikki gave, I hope you'll find it useful too! Give your kids your 100% attention. I know it's hard to do especially when we are working. It doesn't necessarily means you have to be attached on the hips the whole. I read somewhere to give your kids your undivided attention even for just 30 minutes, no phone, no distraction. Nikki shared that they have a family song they made up which they sing as a family. How cute is that? Sharing a secret language or song between you and your kids makes it more special. We don't have any special language or song YET but we do have special pet names for the kids that only our little family knows. Does that count? :) Heehee! Have a special date for each child. This is one of the tips I actually do with my kids. 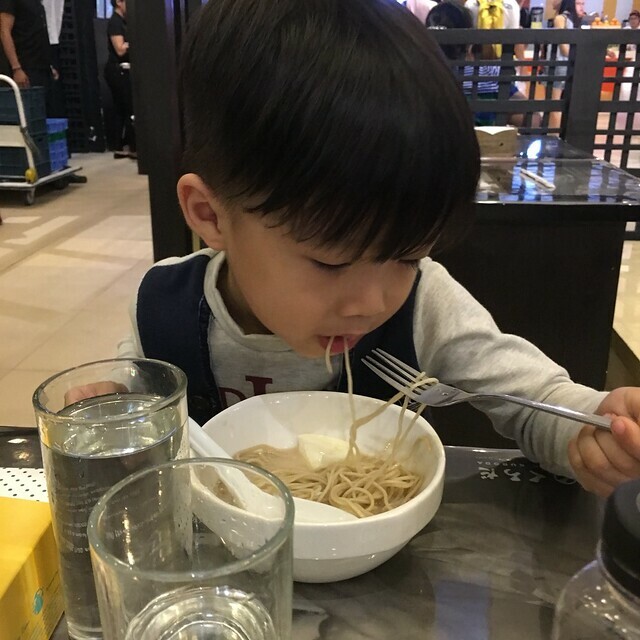 Although it's not as often as I'd like but when I do have the time, I take them to their favorite place or eat at their favorite restaurant. I just took R to a little date the other day! 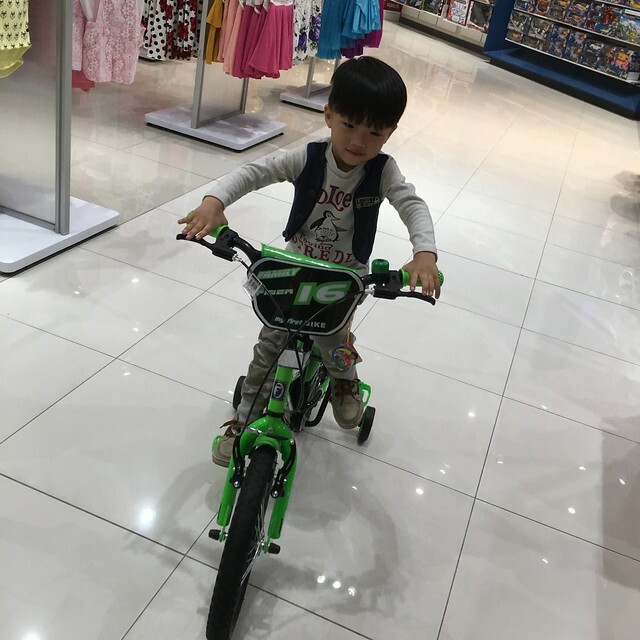 We went to the mall and bought his bike (which his Amma has promised to buy for him) and ate at a ramen place. 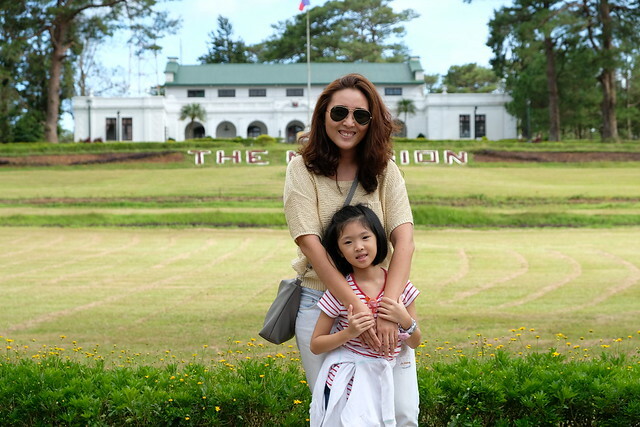 As much as we would want to be supermoms, sometimes hindi na talaga natin kaya. And if that happens, ask for help. I'm sure you have families and friends who are willing to lend a hand when we need it. With all the things I do at home, I don't get to cook as much as I want, I'm lucky my mom would sometimes send us food for the week! Alcohol is a big part being a mom. Don't you think? If you're OC when you were single, you become more OC when you become a mom! I always make sure I have a small bottle in my bag, a bottle in Y's school bag, and a bottle in the kids's bag whenever we go out. There's also a bottle in every area of our house to keep our environment clean and easy to sanitize between bonding activities! 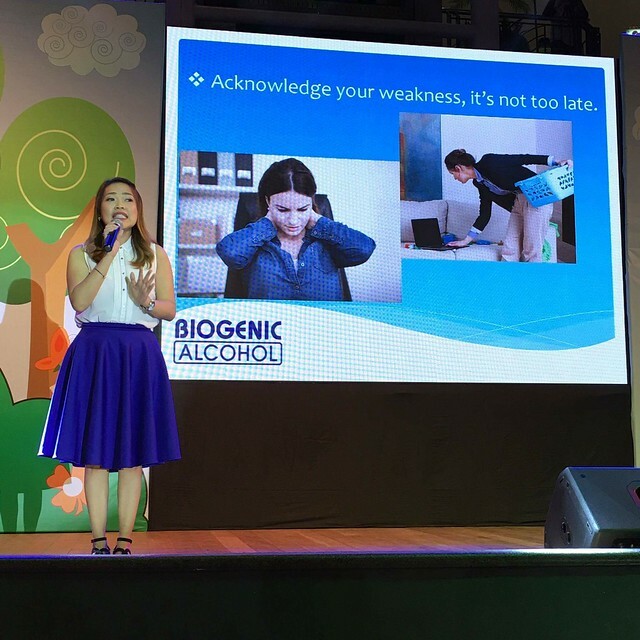 Biogenic Alcohol will always be a part of my grocery list and also our home. 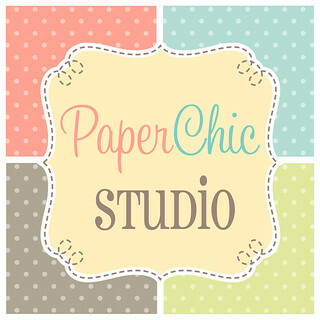 For more information, like and follow! Biogenic Alcohol is also having a promo on! Check their Facebook Page for the mechanics!